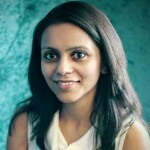 Shalini Poddar leads the Mobile App Ads business for Google India. She focuses on helping mobile first businesses meet their user acquisition and app promotion goals across Google platforms. Previously, she spent over 3 years with Google, leading relationships with Indian telecom, gaming and aggregator businesses, to help achieve their business and marketing goals through digital. Prior to Google Shalini has almost 8 years of business consulting experience working across industries.